If you are visiting Croatia, you have to experience it from the sea, and the best way is to book yourself water taxi that can take you any destination you desire. 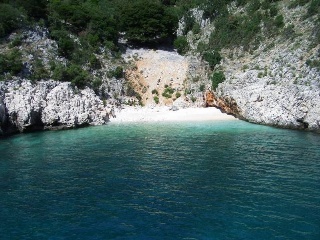 Experience the beauty of Adriatic while boating along the beautiful coast on the speedy boat. Our water taxi service from Split and greater area is connecting islands to the mainland, Split and Islands such as Hvar, Brac, Vis, Korcula or even other cities such as Dubrovnik, Trogir, etc. Our scheduled locations are Split Port, Split Airport, marinas, but mostly villas and hotels, with access like Radisson Blu, Le Meridian Hotel Lav, etc. Our aim is to maintain privacy, safety and comfort. Since we offer boat transfers in our own boats, we can give you the best price possible. Our speed boats are from 9 to 11 meters long and conform to the maritime regulations, with all required safety equipment on board. Our boats have the facility to provide you with the ultimate in comfort, as you travel across the sea at speeds of up to 25 knots. Each of our boats have a sun protection to cover you from the sun to keep you cool and comfortable. Boat transfer from the Airport to the Islands was never easyer and faster. Booking your airport transportation is saving you money and time. Use our secure online booking system (on the right) to get a quote and book your transportation now. Book Online and save.